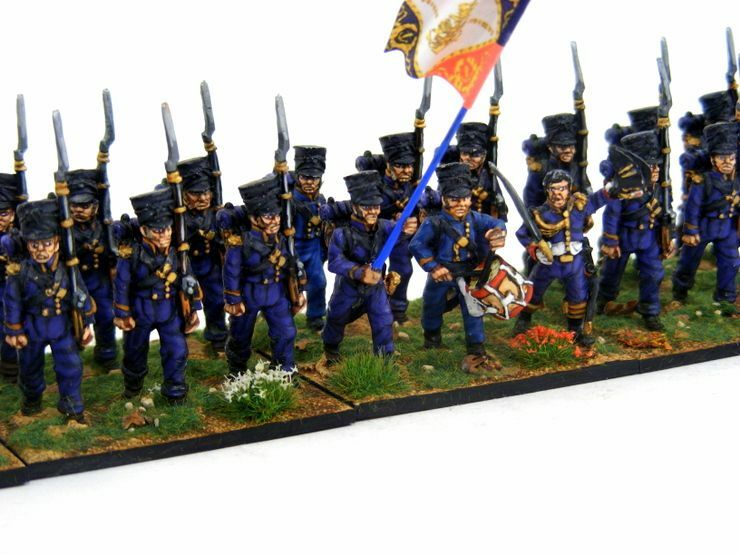 The Imperial Guard was originally a small group of elite soldiers of the French Army under the direct command of Napoleon , but grew considerably over time. 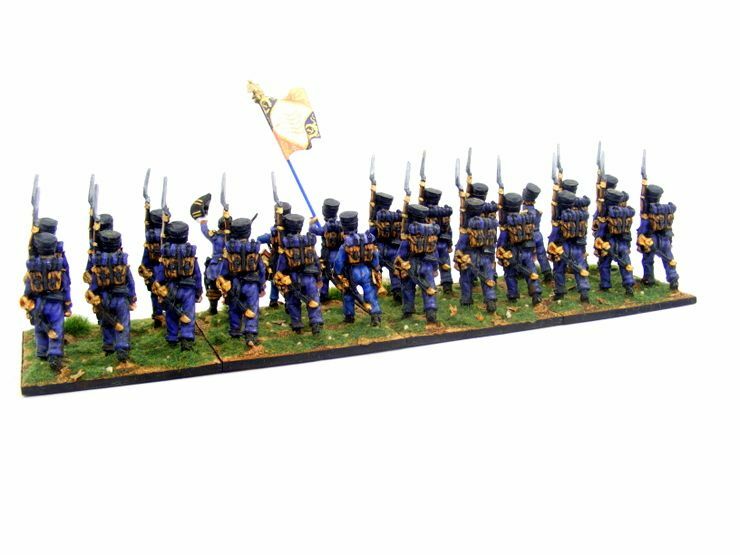 It acted as his bodyguard and tactical reserve, and he was careful of its use in battle. 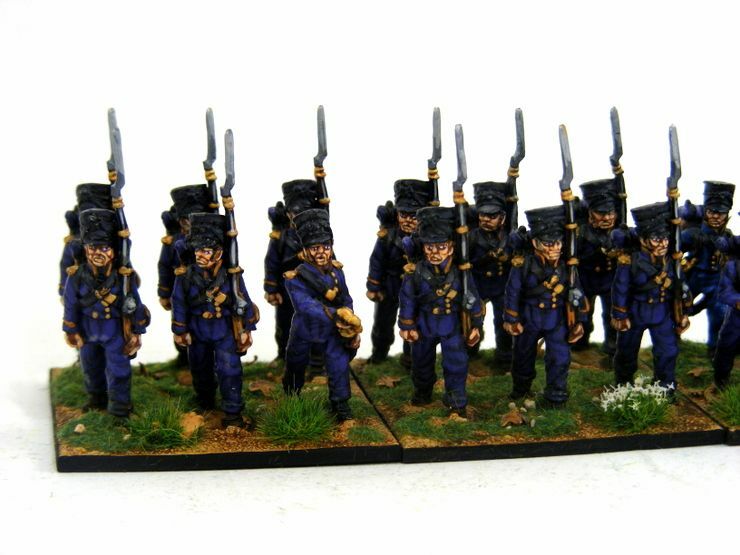 The Guard was divided into the staff, infantry, cavalry, and artillery regiments, as well as battalions of sappers and marines. 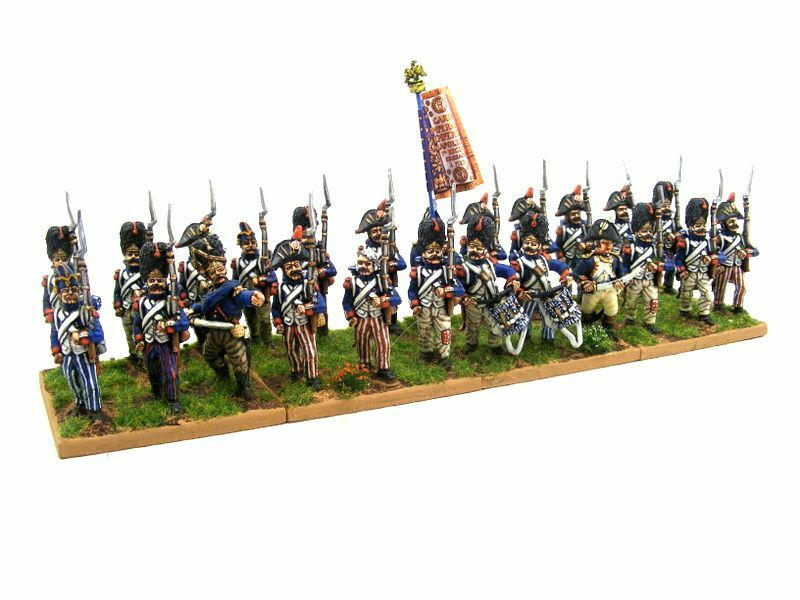 Another division existed in distinguishing the experienced veterans from less experienced members of the Guard the group's division into the Old Guard, Middle Guard and Young Guard. 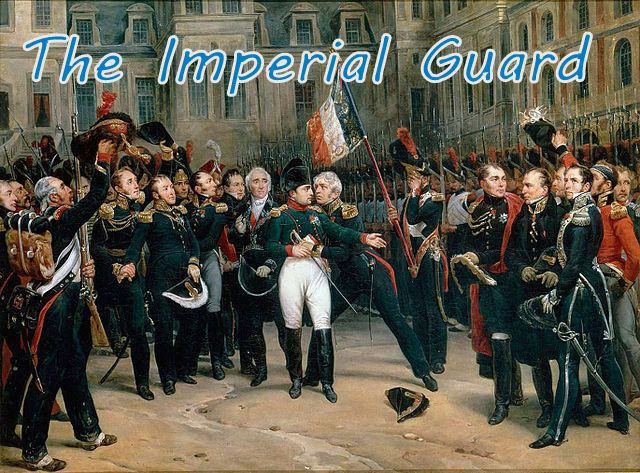 Napoleon took great care of his Guard, particularly the Old Guard. 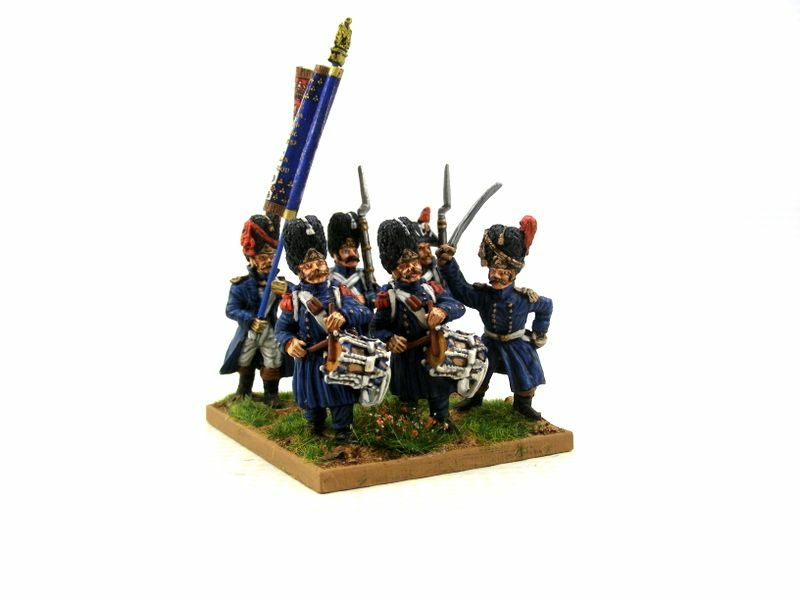 The Grenadiers of Old Guard were known to complain in the presence of the Emperor, giving them the nickname Les Grognards, the Grumblers. 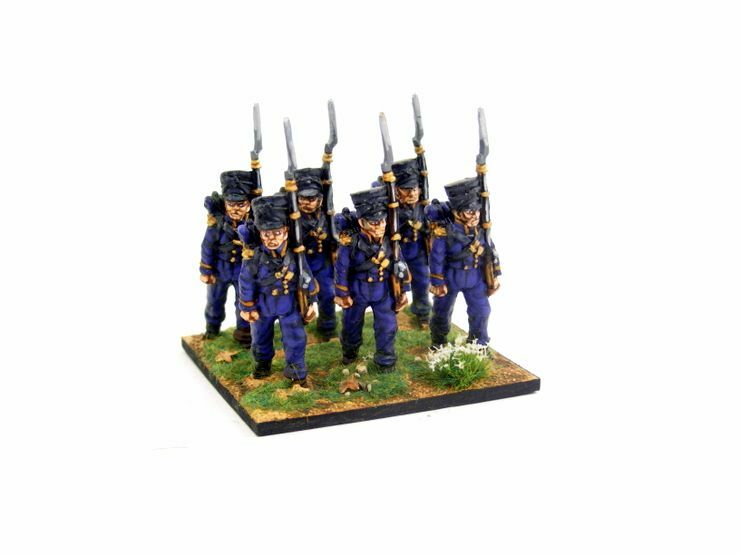 The Guard received better pay, rations, quarters, and equipment, and all guardsmen ranked one grade higher than all non-Imperial Guard soldiers. 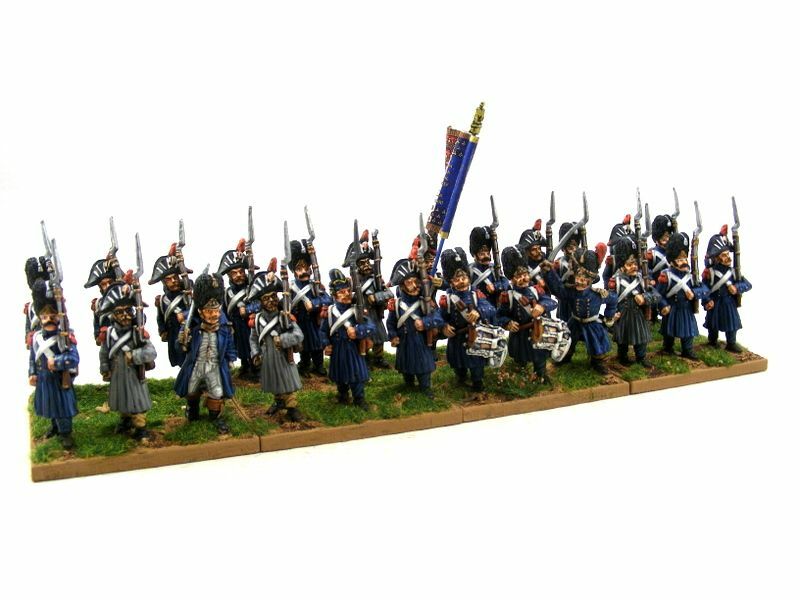 Other French soldiers even referred to Napoleon's Imperial Guard as "the Immortals." 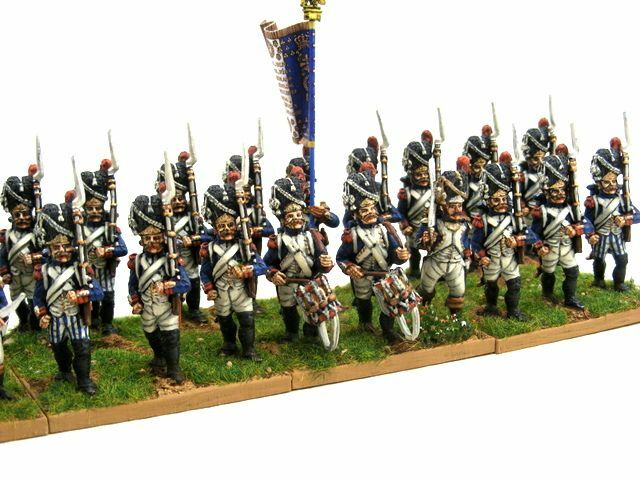 Created from the Grenadiers of the Consular Guard , the 1st Grenadiers were one of the oldest and most venerated of regiments in the French Army; classed as the Old Guard. 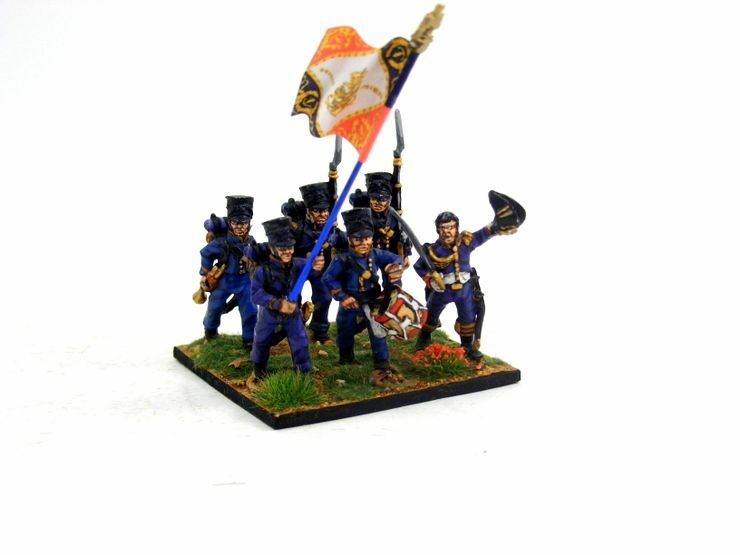 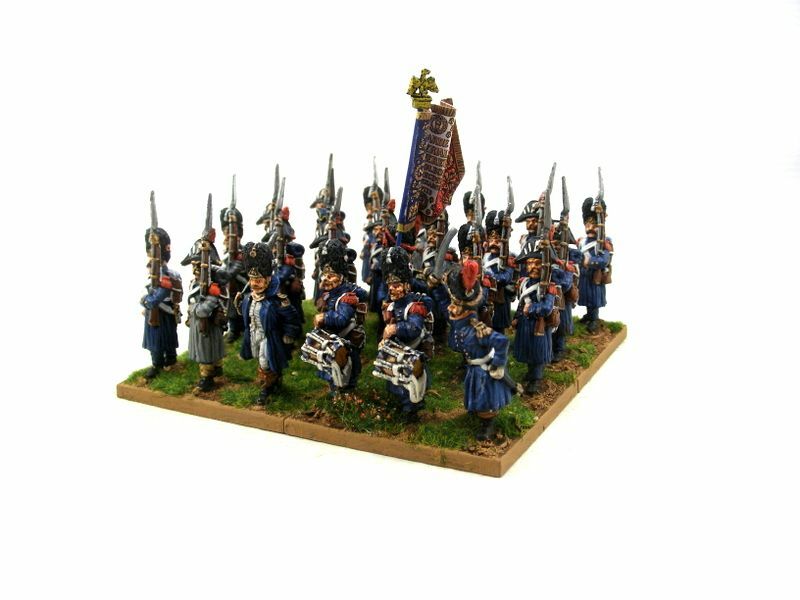 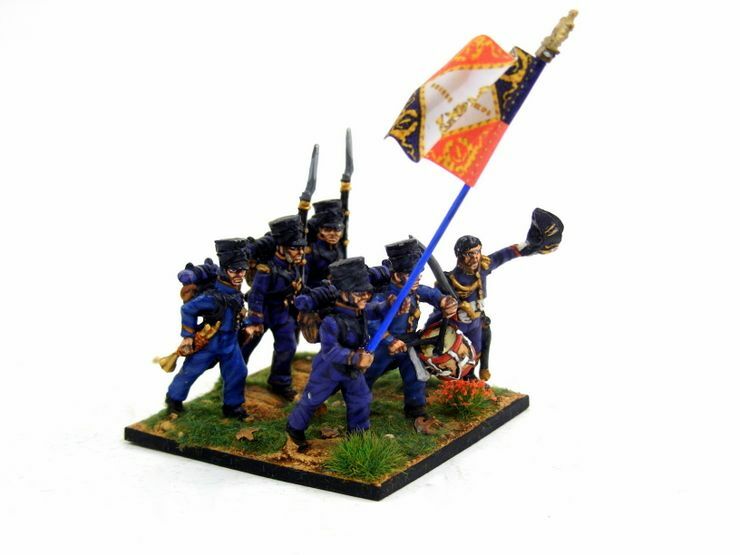 The figures are Front Rank and are based on 50mm x 50mm x 3mm wooden bases, the flag is by GMB Designs. 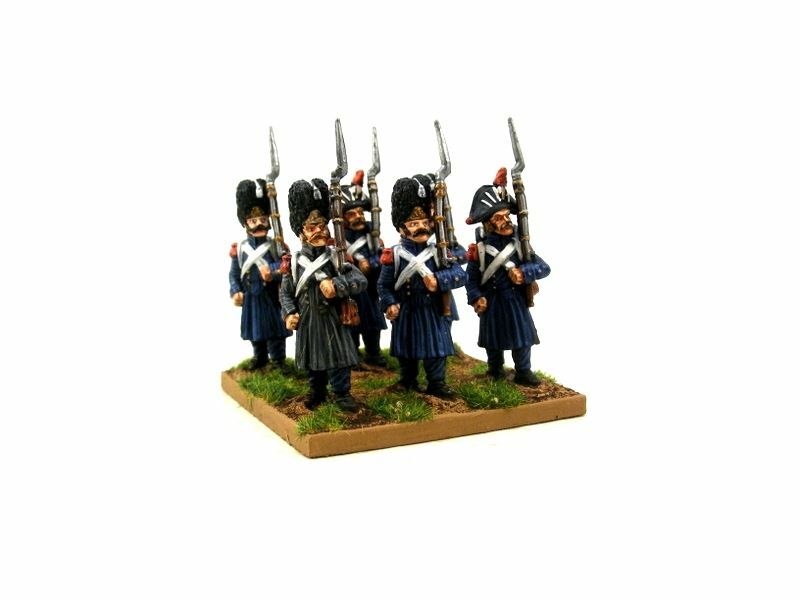 Created from the Grenadiers of the Consular Guard along with the 1st regiment, the 2nd Grenadier Regiment of the Imperial Guard was one of the oldest and most venerated of regiments in the French Army; classed as the Old Guard. 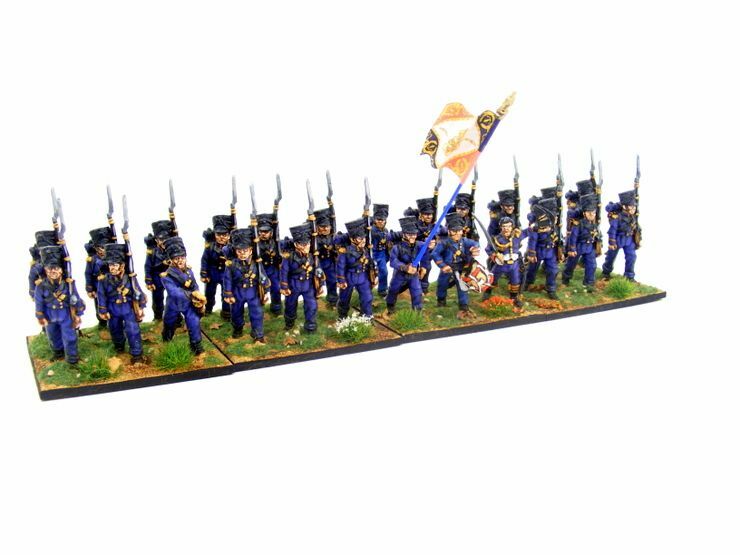 This regiment was created as the Royal Guard in Holland, when Louis Napoleon, brother to Napoleon, was made King of Holland. 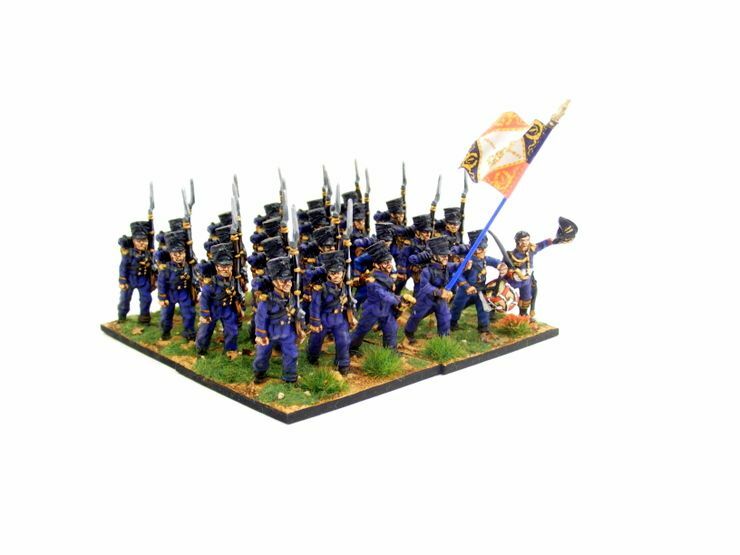 After Holland became part of France, it became in 1810 the 3rd Grenadiers of the Imperial Guard. 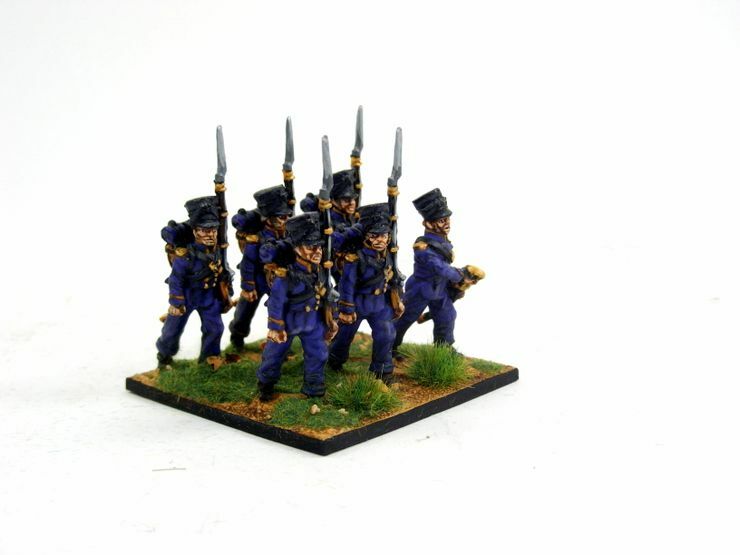 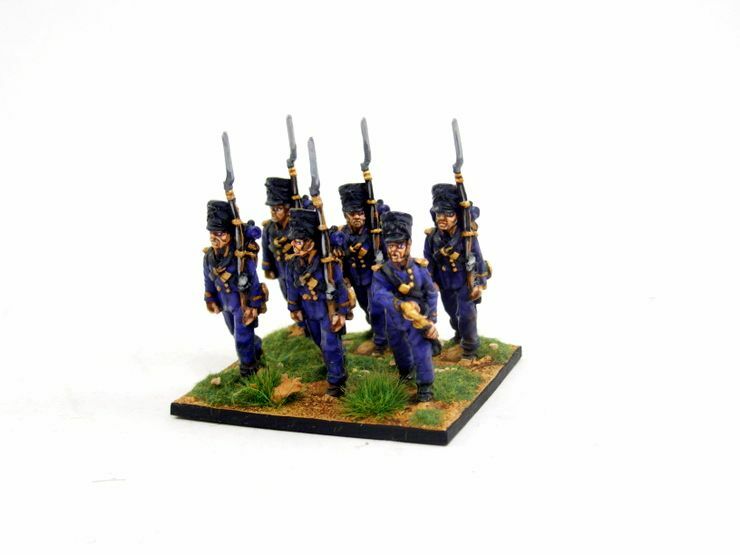 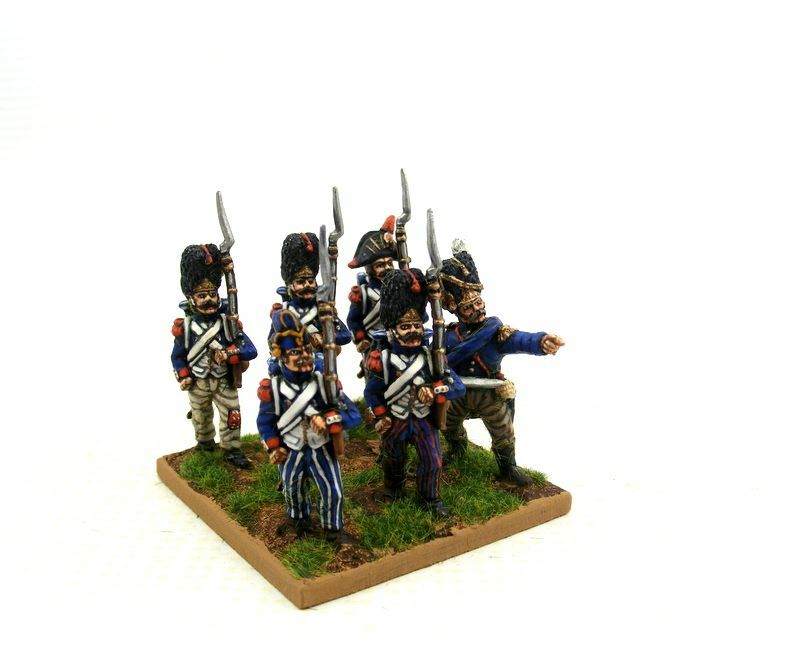 The fourth Grenadier Regiment, the 4th Grenadiers of the Imperial Guard, was raised in 1815. 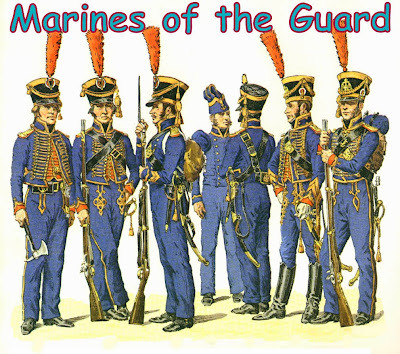 Created as the Fusiliers of the Guard in 1806, it became the Fusilier Grenadiers of the Imperial Guard in 1807. 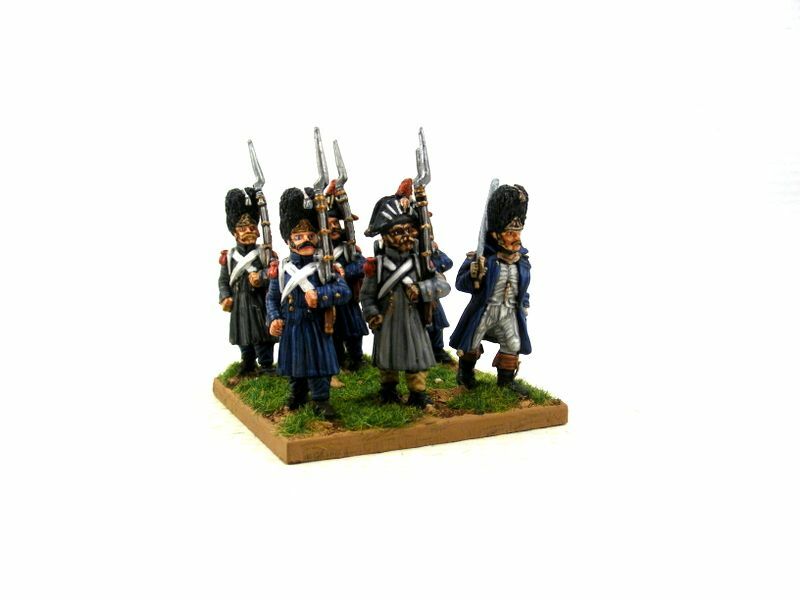 A second regiment that was raised became the 2nd Fusiliers Grenadiers. 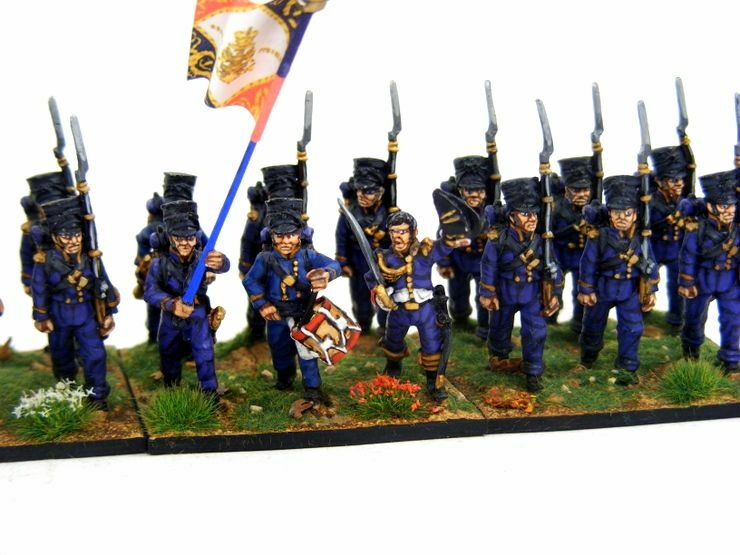 Two regiments of Fusilier Grenadiers were raised in 1806, but disbanded in 1814 and not re-established for the Waterloo/00 Days campaign. 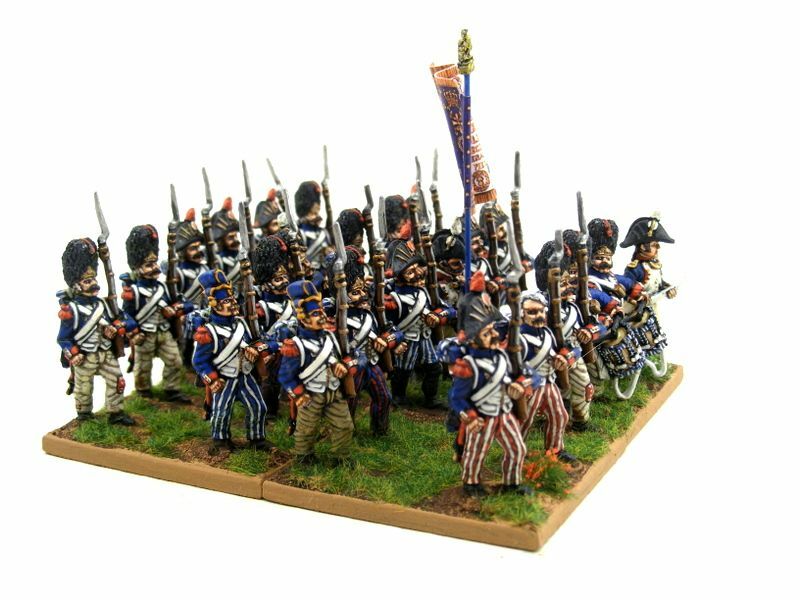 The 1st Fusiliers Chasseurs Regiment was created in 1807 as part of the reorganization of the Fusiliers of the Guard from the first battalions of the Grenadiers and Chasseurs of Velites of the Guard. 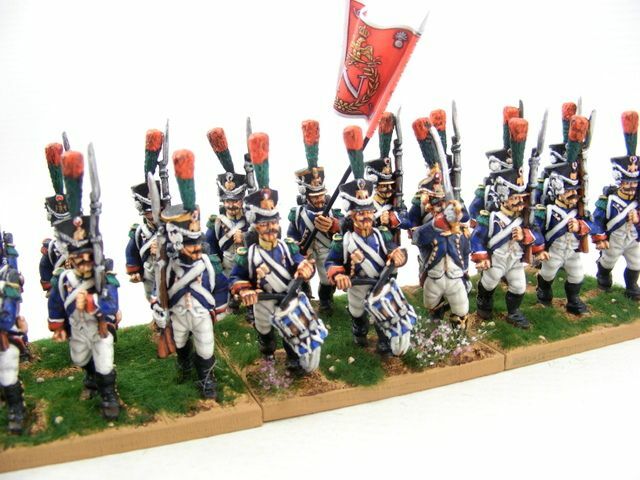 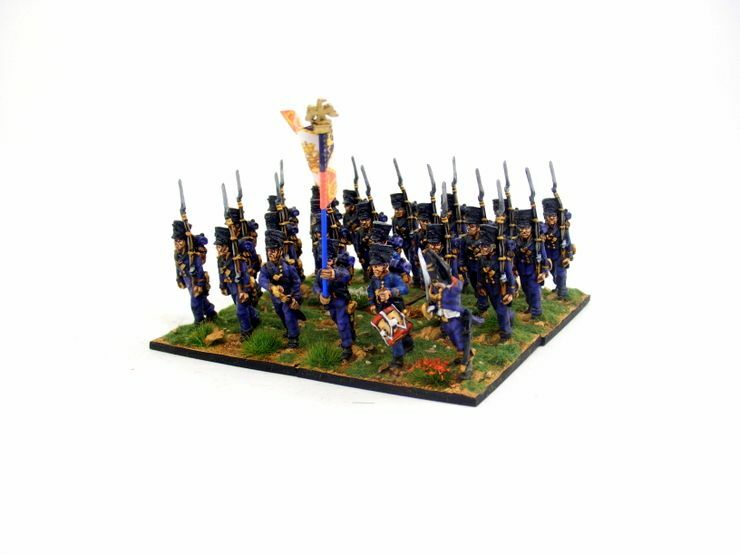 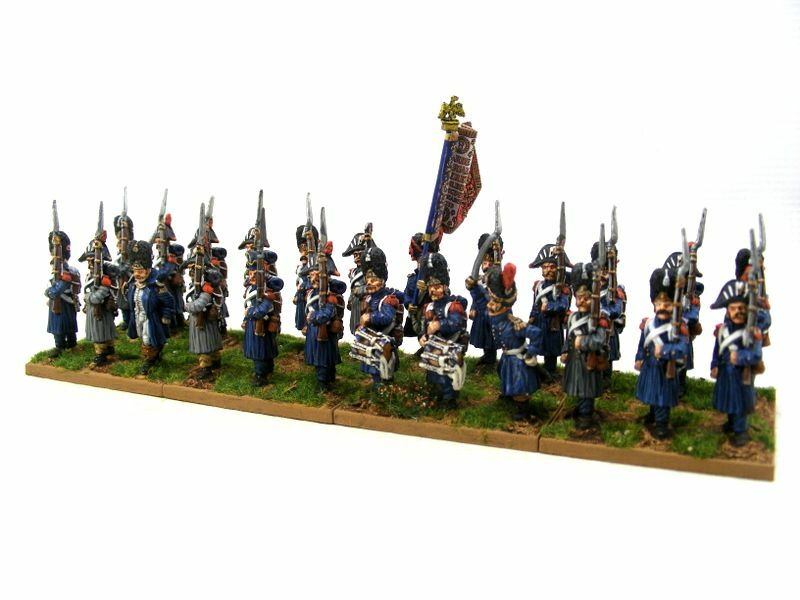 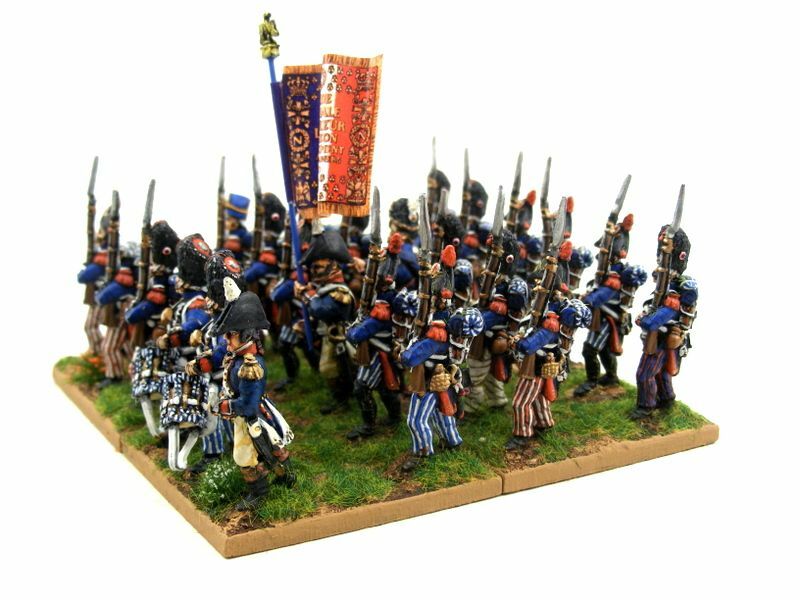 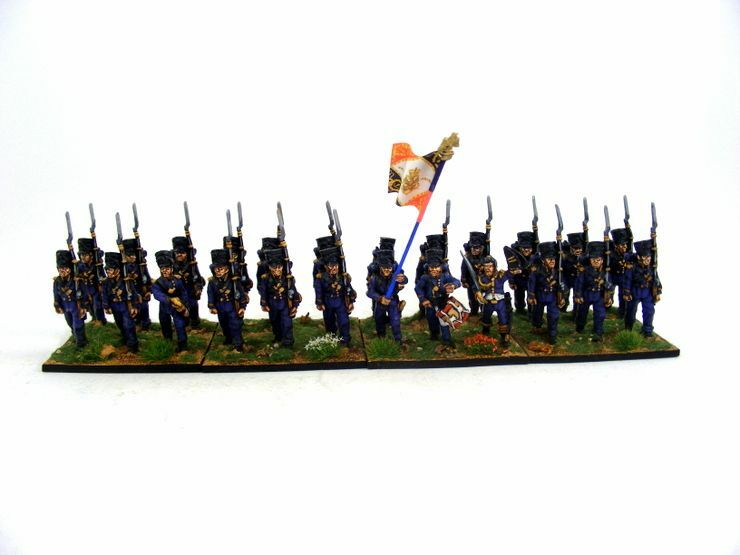 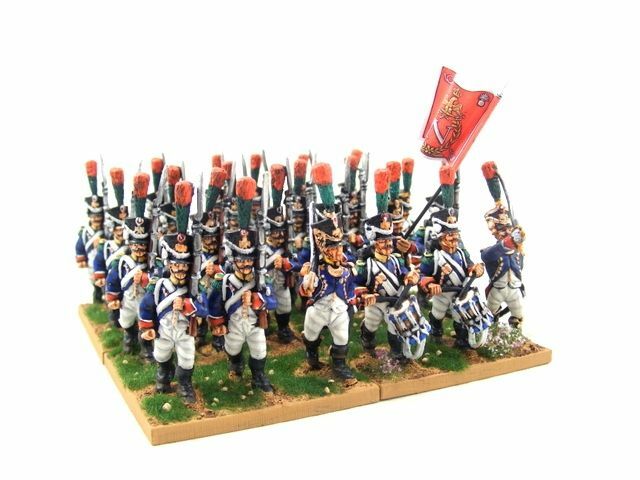 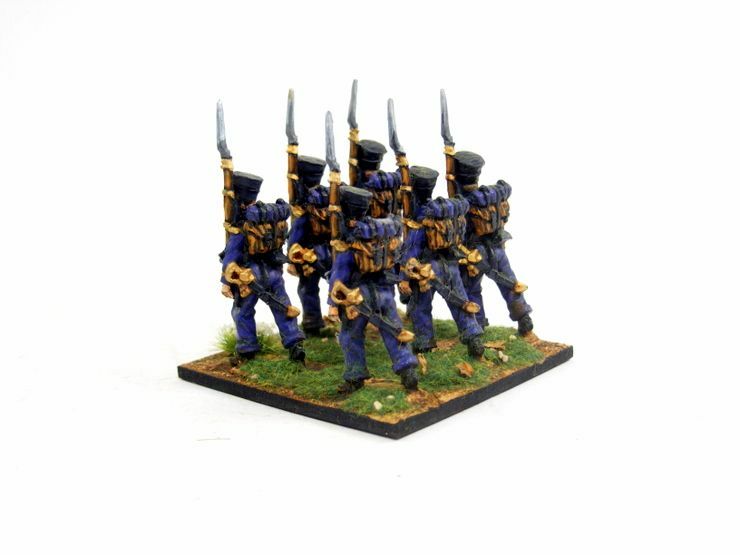 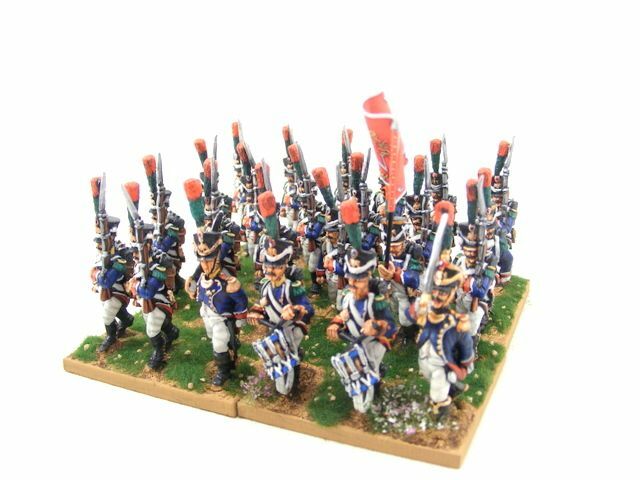 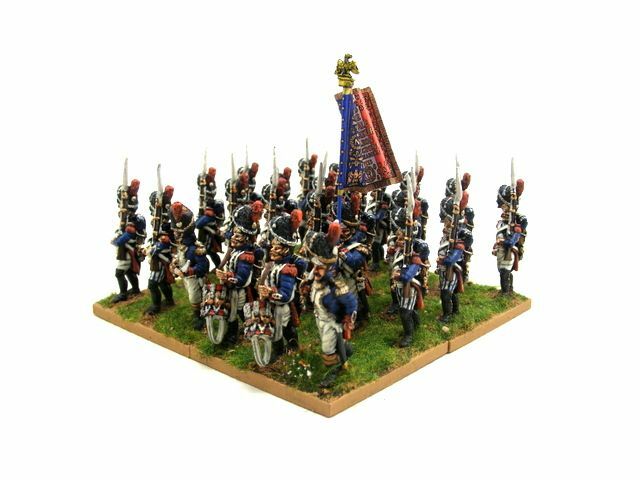 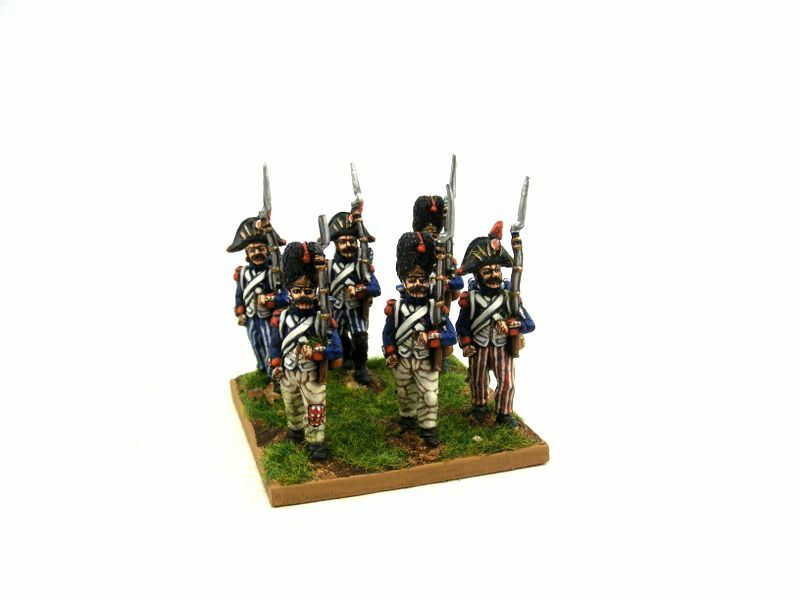 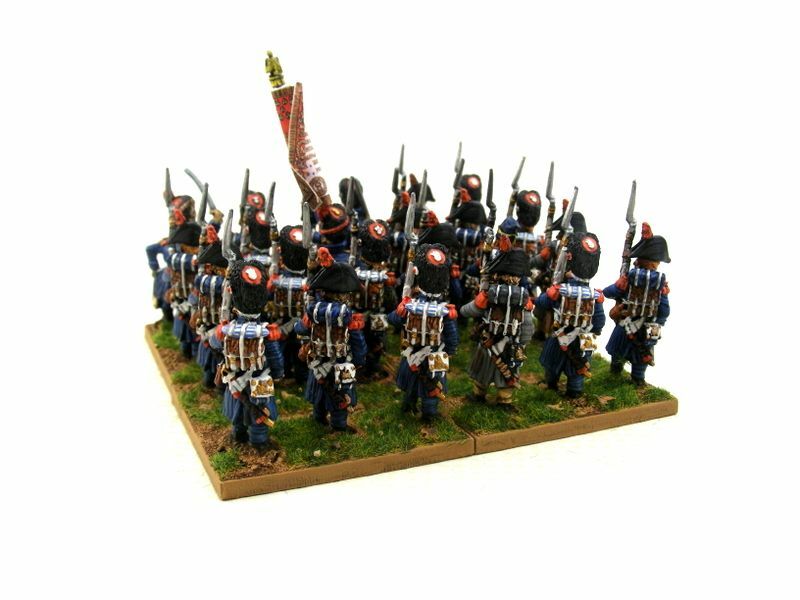 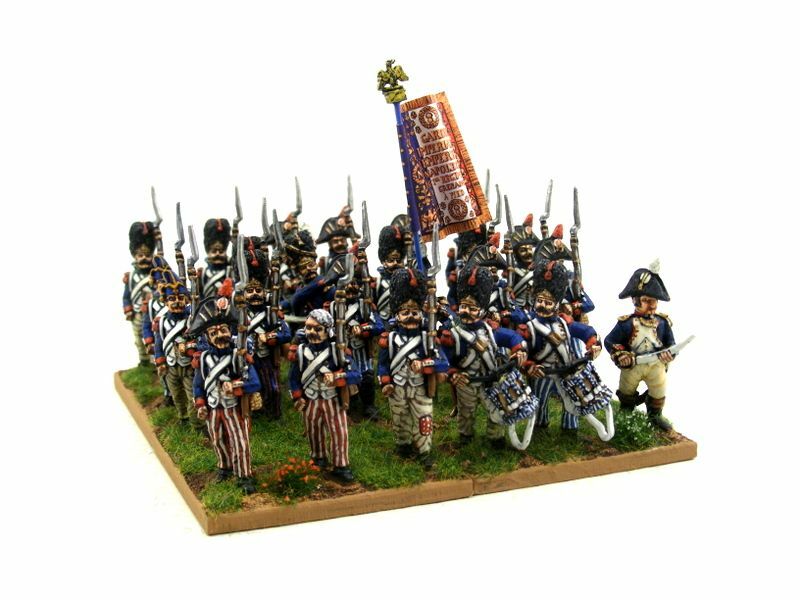 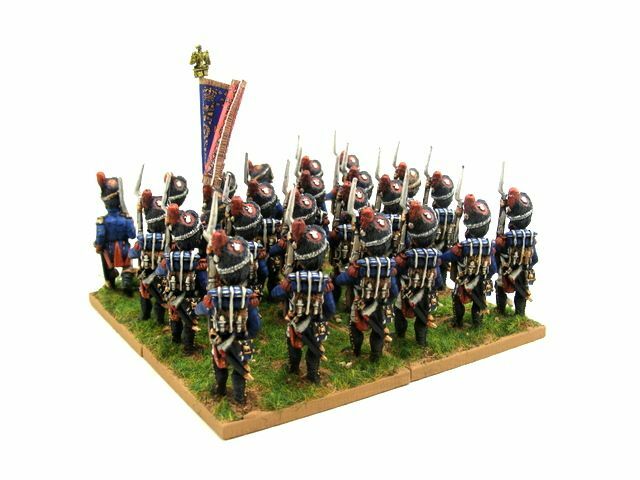 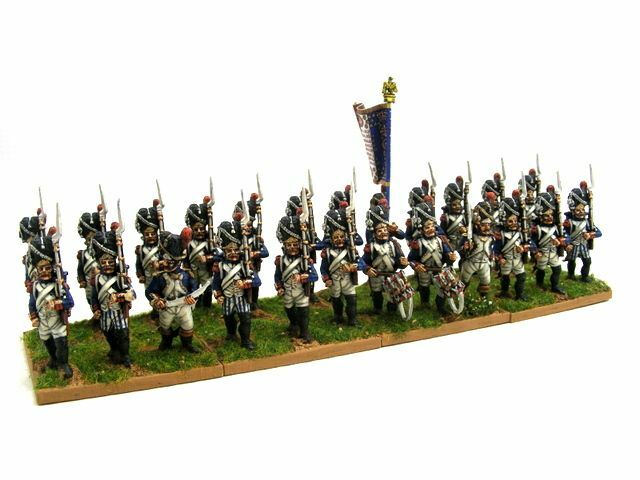 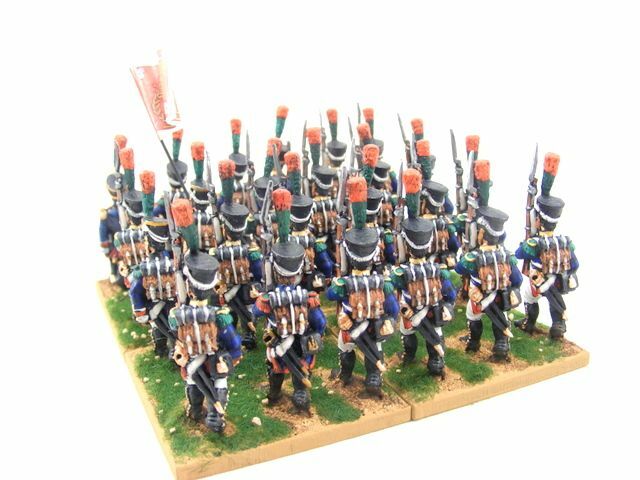 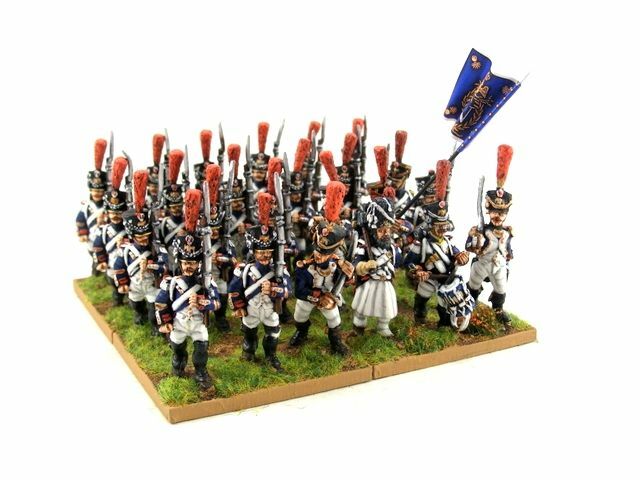 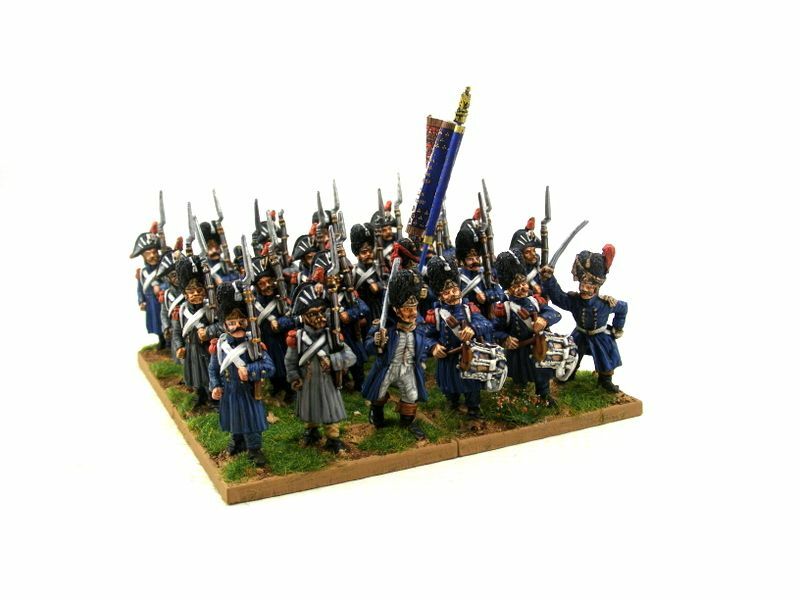 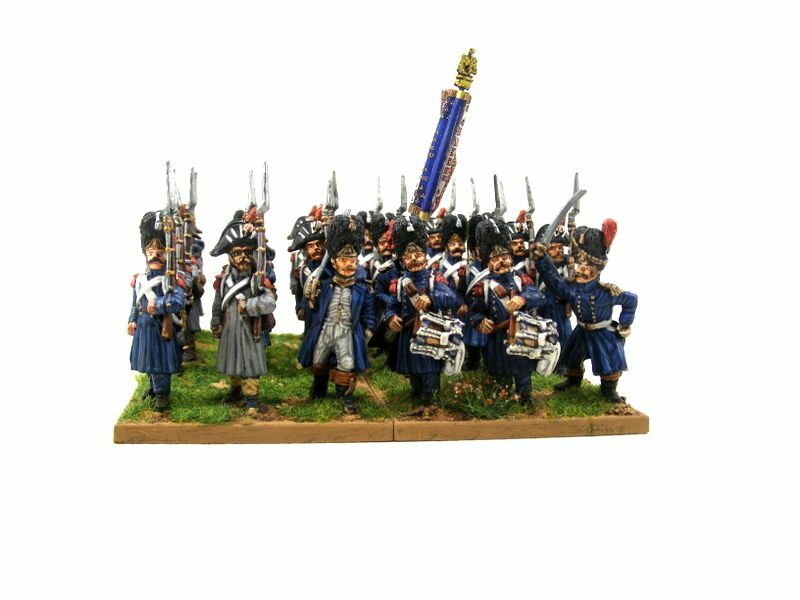 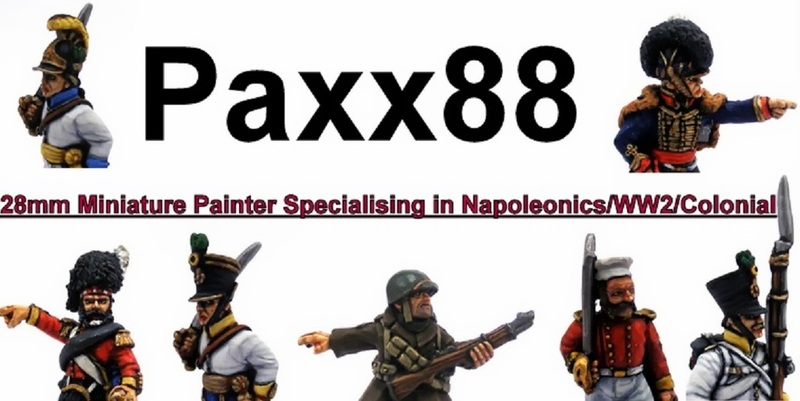 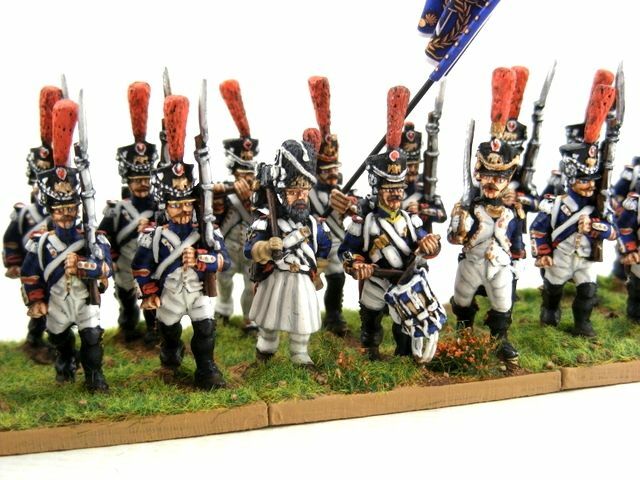 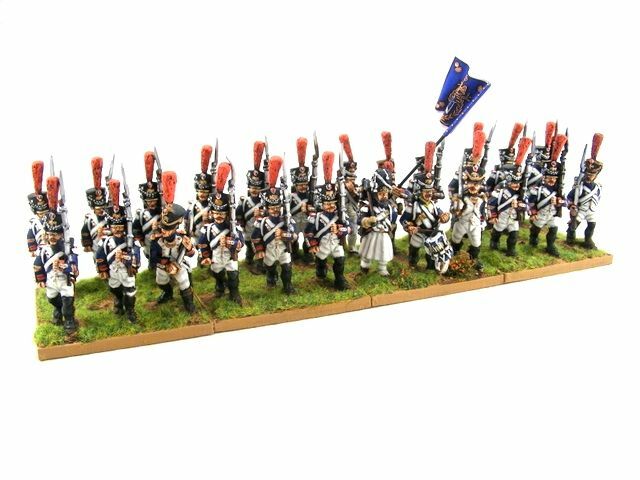 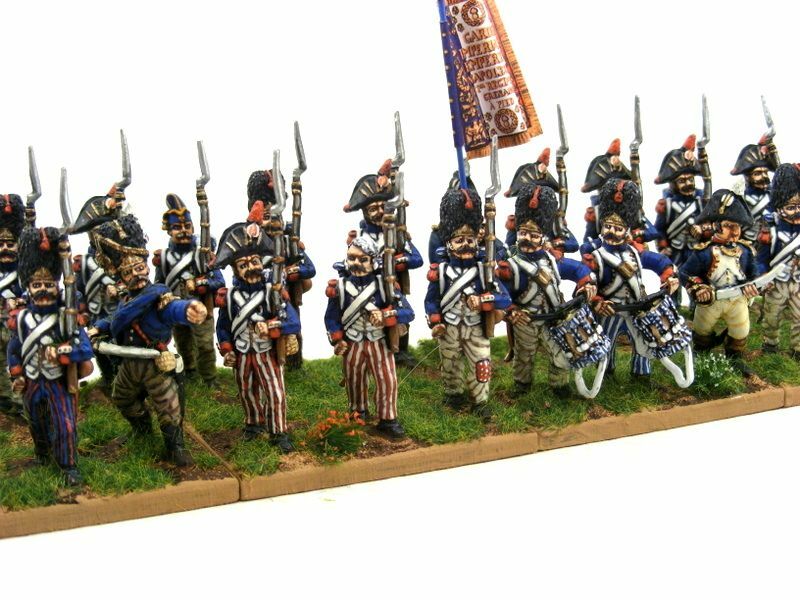 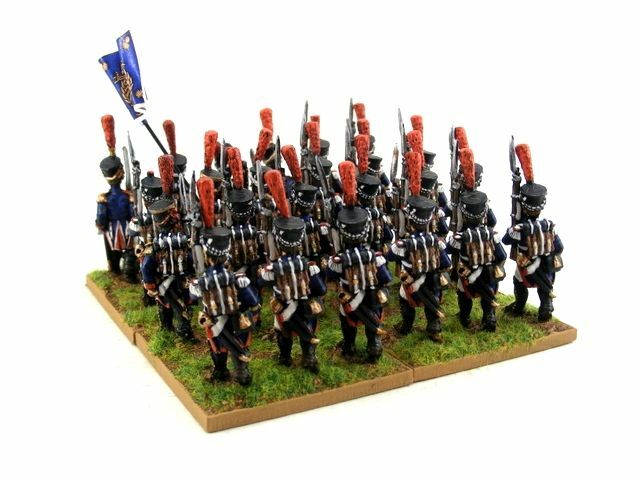 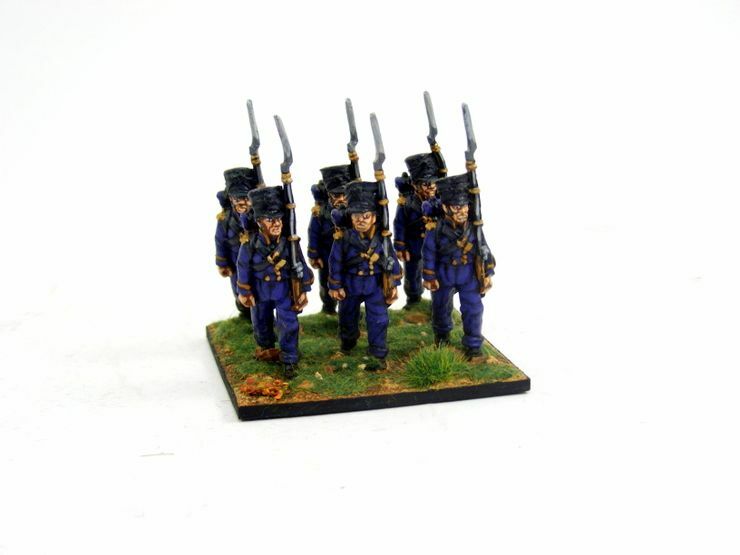 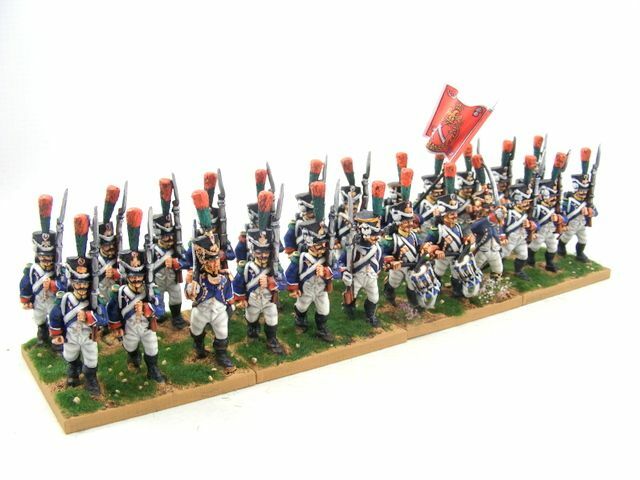 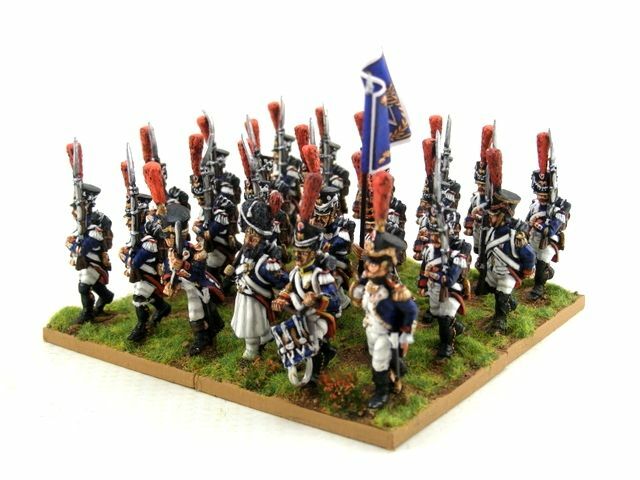 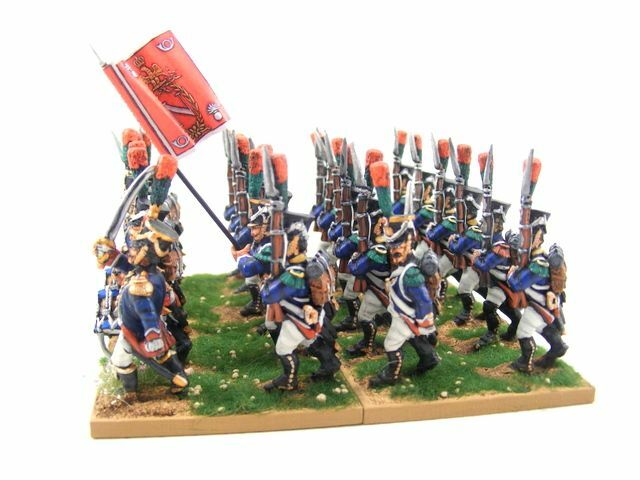 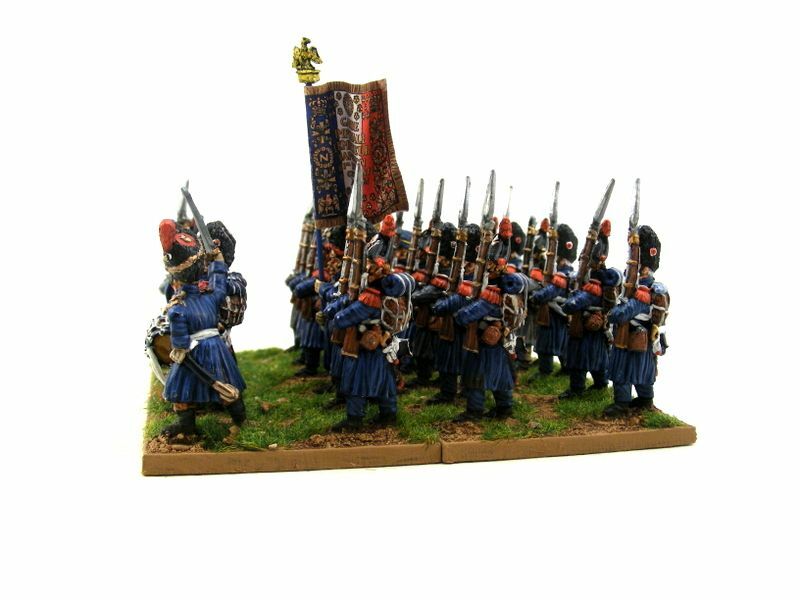 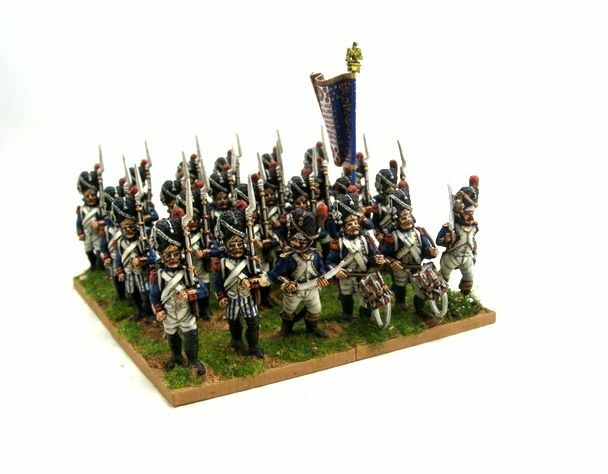 Napoleons Marine Battalion which are by Perry Miniatures are excellent and come in two varieties, campaign uniform and parade uniform. 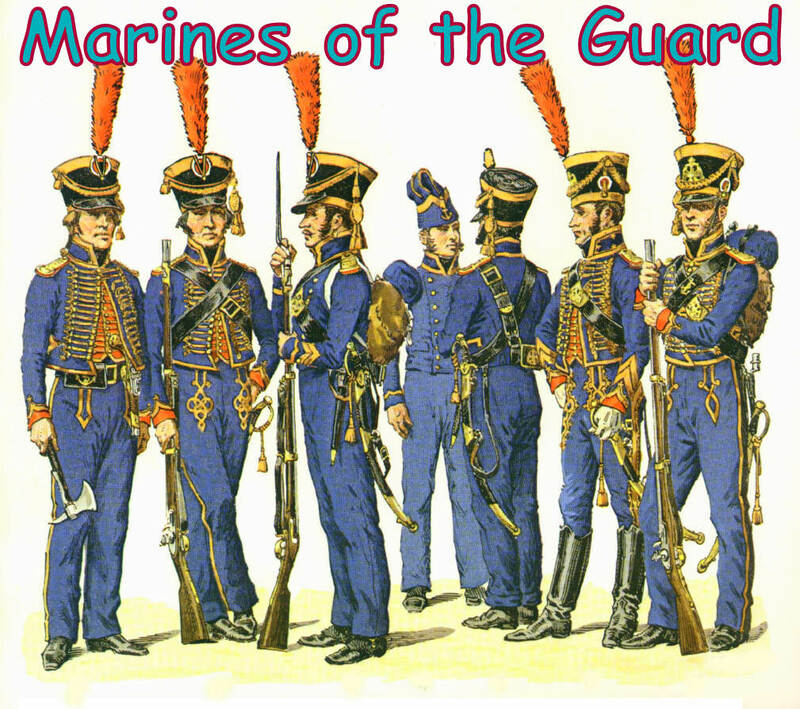 These are campaign uniformed Marines. 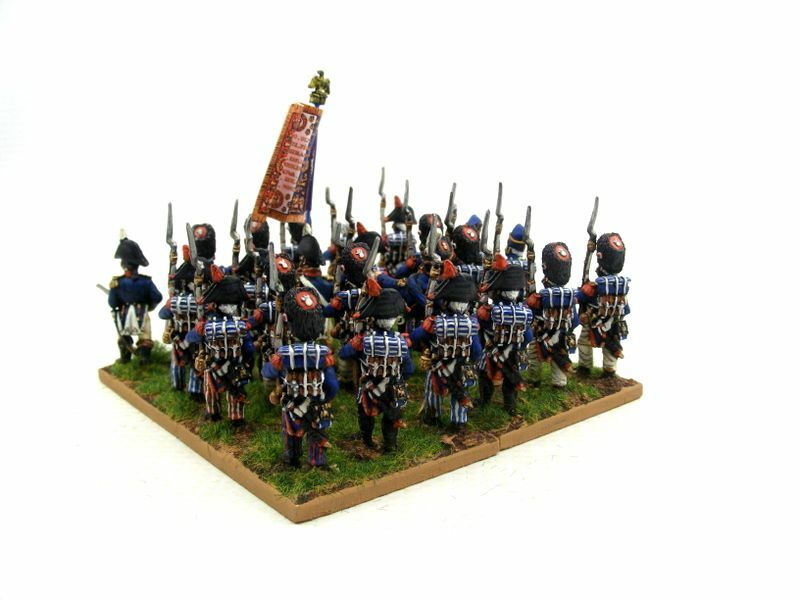 They are based on wooden 50mm x 50mm x 2mm bases.